Here are printable coloring puzzles for all 26 letters of the alphabet. There are two puzzles for the letter X: one with words that begin with X and one that also includes words that end with X. The puzzles will also introduce some new vocabulary words to your student. Print the puzzles on cardstock for best results, color the pictures and cut apart the pieces. These alphabet coloring puzzles are the first in a series of alphabet activity pages. Stay tuned. 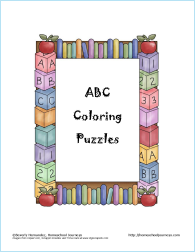 Have fun learning the alphabet and beginning sounds with these printable ABC Coloring Puzzles. I’ve been thinking a lot about the curriculum that I will be using this year and spending lots of time researching different books and programs. I’ve decided not to go with a prepackaged Kindergarten program, because I don’t want to feel the pressure of doing and completing everything in a set program. If I were to pick a prepackaged Kindergarten program, I would probably pick My Father’s World because it is reasonably priced, Biblically based, and has simple, straightforward instructions. The reason I chose this book, is because it’s colorful and goes at a great pace. 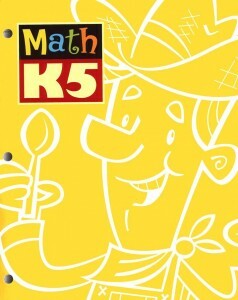 It introduces children to shapes, same & different, numbers, counting, addition, time, calendars, money, measurements and more. Each lesson is one page, front and back. I’ll be using Readingeggs.com for our reading. 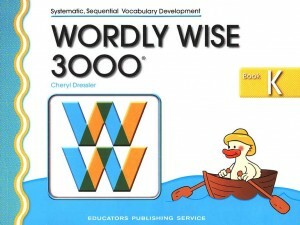 This is a great computer program that teaches all the basics of reading. My daughter loves it!! (I’ll talk more about that in my next post.) 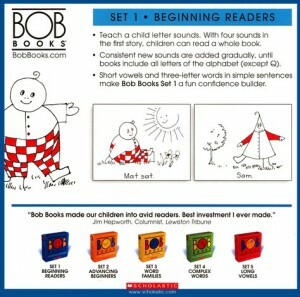 I’ll also be using the Bob Books. These books are not the most interesting or colorful books, but they’ve given my daughter quick success. I’ve had trouble finding any other books that are able to get her reading so quickly and easily. Within 3 days, she’s been able to read the first book with minimal help. I chose this book, because it has clear instructions on how to write letters properly. I know how to write, but when I’m teaching I want to be sure to teach proper techniques. This book seems to make those techniques clear. It is also a very colorful, fun looking book. This book is one of my favorite books. It has poems, stories, songs, art, history, and science. It contains a lot of classical stories that every child should know, like The Little Red Hen or The Gingerbread Man. We started this book last year and it quickly became a favorite in our household. Everyone gets excited to read these stories. It also has pictures to go with all the stories. When we finish this book, we’ll probably go on to the kindergarten book. I’m really interested in this program. It seems like a great way to expand little children’s vocabulary. You read stories aloud and teach them words like muddy, soil, dew, stare, fluffy, etc. 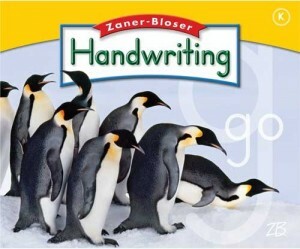 This is something I can use for both my preschooler and my kindergartner. My children love workbooks. They love to write and circle things. So I like to include a few books from the Spectrum Early Years series. I really like these books because the are cheap and they cover many subjects. 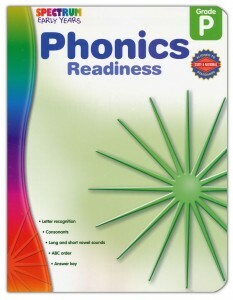 I’m going to choose Phonics Readiness for my 5 year old. And Basic Concepts for my 3 year old. The phonics book covers letter sounds and recognition. 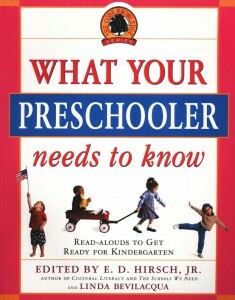 The Basic Concepts book covers beginning writing, shapes, colors, and other early learning concepts. Those are my choices for next year, so far. I plan on going to the homeschool convention in July, so some of these choices might change. This will be my first convention and I’ll probably be totally overwhelmed, but it will be a good overwhelmed.